Offering 175 years of history, unique accommodation and activities, in the picturesque Clare Valley, staying at this iconic property is an immersive country experience. 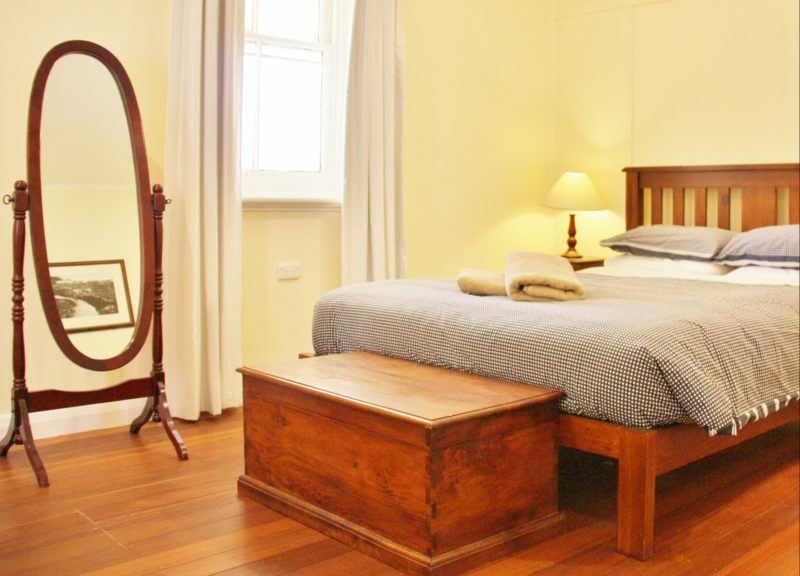 Guests will stay in beautifully renovated heritage cottages on the 7000 acre farming property. The cottages are self contained, with 1-4 bedrooms, kitchen, bathroom/s and sitting rooms with wood fires and air conditioning. All bedding is provided as well as full breakfast provisions, with other catering available by prior arrangement. 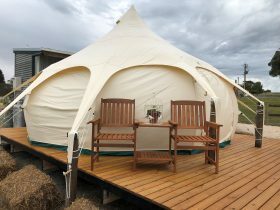 While staying at Bungaree, guests can do tours of the historic station complex, enjoy the wide open spaces, feed the animals, use the swimming pool, or simply relax around the fire with some local wine. Walking trails through the paddocks, guided farm experiences and clay target shooting tuition are also available. 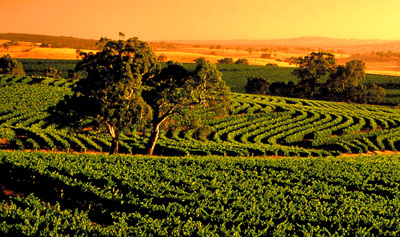 Tours of the many attractions of the Clare Valley, including wineries, art galleries and museums, can also be arranged. 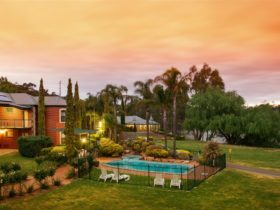 Located just a 2 hour drive from Adelaide, in the beautiful Clare Valley, the property is also well located for short trips to this world renowned wine region as well as a worthwhile stopover on longer trips to the Flinders Ranges and Eyre Peninsula. Self contained apartment with either two bedrooms (one bedroom with one queen, one bedroom with two singles) or four bedrooms (two additional bedrooms; one bedroom with one queen, one bedroom with one single), bathroom and open plan kitchen/sitting room. Facilities include dishwasher, air conditioning and television/DVD. Bedding and bath towels provided, as well as provisions for breakfast. Complimentary activities for guests including self guided history trail around station complex and animal feeding. Self contained cottage in secluded location with two bedrooms (one with queen, one with two singles), bathroom, kitchen and sitting room. 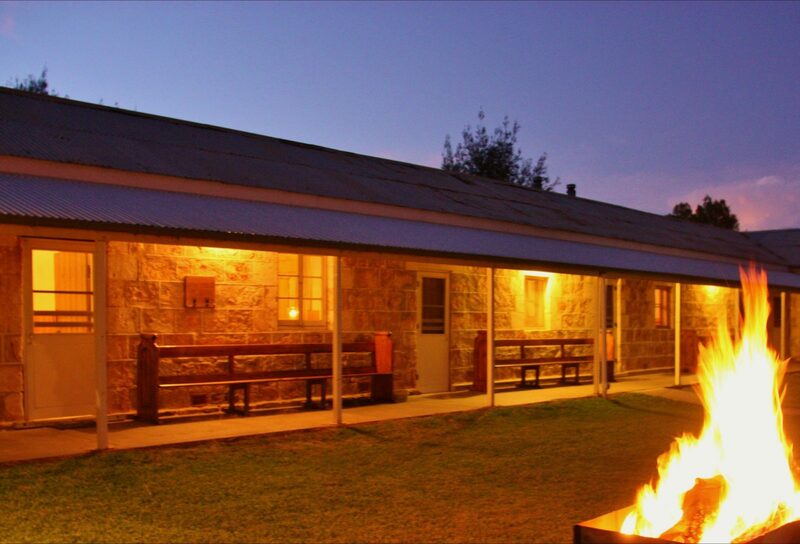 Facilities include wood fire, air conditioning, television/DVD and barbecue. Bedding, bath towels and breakfast provided, as well as complimentary activities for guests including self guided history trail and animal feeding. 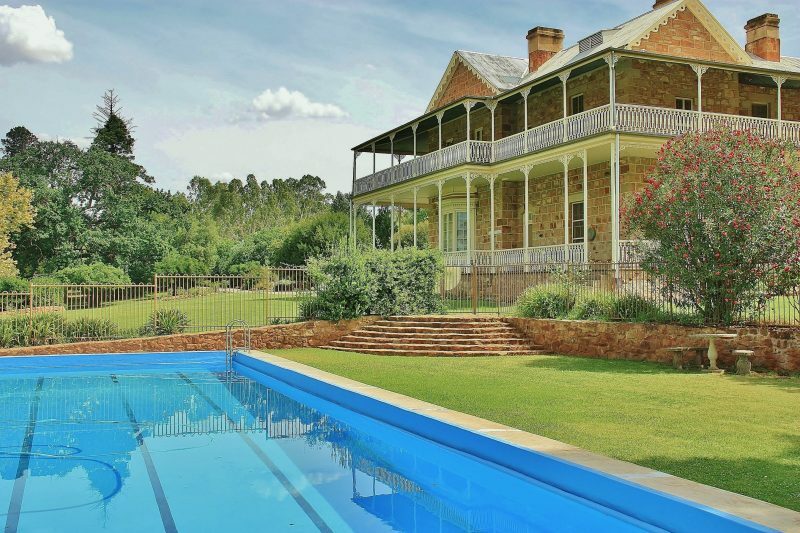 Nearby are the many attractions of the Clare Valley, including wineries and museums. Self contained cottage with two bedrooms (one with one queen, one with one queen and one single), two ensuite bathrooms, kitchen and sitting/dining room. Facilities include wood fire, air conditioning and barbecue. Bedding and bath towels provided, along with breakfast provisions. Complimentary activities for guests include self guided history trail around the station complex and animal feeding. Self contained cottage with one bedroom (one queen bed), kitchenette and ensuite bathroom. Facilities include wood fire, air conditioning, television/DVD and barbecue. Bedding, bath towels and breakfast provisions provided. Complimentary activities for guests include self guided history trail and animal feeding. Self contained cottage with four bedrooms (two with one queen, two with one queen and one single), two bathrooms, kitchen and large sitting/dining room. Facilities include wood fire, air conditioning and barbecue. Bedding and bath towels provided, along with breakfast provisions. Complimentary activities for guests include self guided history trail around the station complex and animal feeding. Self contained cottage with three bedrooms (two with one queen, one with one queen and one single), two bathrooms, kitchen and large sitting/dining room. Facilities include wood fire, air conditioning and barbecue. Bedding and bath towels provided, along with breakfast provisions. Complimentary activities for guests include self guided history trail around the station complex and animal feeding. Price is per building. Full breakfast provisions are included.